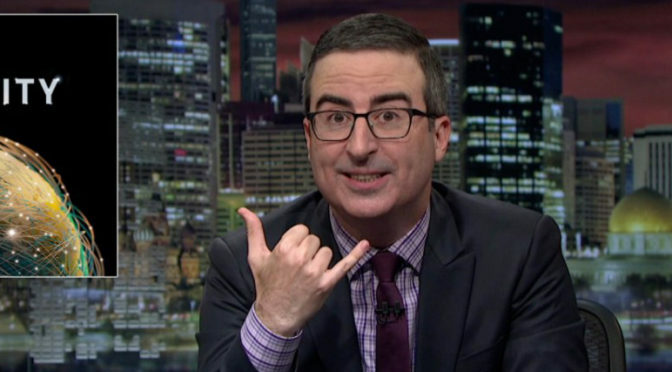 Those of you who don’t know, John Oliver is a comedian who worked on THE DAILY SHOW, but since he has (and us) been graced with his own show on HBO, LAST WEEK TONIGHT WITH JOHN OLIVER, and the show is GLORIOUS! And the show is basically what the title implies, the news of the week, recapped on Sunday night in amazing fashion. And last Sunday was no exception. The featured story, as you might’ve caught wind of over social media, was a feature on our Vice President, Mike Pence, and how… well… to be completely candid, a horrible human being. During the course of the segment, Oliver talked about how Pence is not a friend (to put it lightly) of the LGBTQ community, among other initiatives that arguably go against basic human decency. But the segment ended, in hilarious fashion, on the Pence family bunny, Marlon Bundo. Oliver elaborated that the Pence family wrote a children’s book featuring the bunny, and given the stance on where our VP lands on “family values”, one can only imagine how the story is crafted. And this is where I love John Oliver even more. In response to this book, and presumably to troll the Pence family, he wrote his own book featuring Marlon. But in Oliver’s case, SO gay-friendly, in that Marlon falls in love with a boy bunny! AWESOME! And I have to say, since that interview’s airing, I LOVE the fact that Oliver’s book is not only out-selling, SOLD OUT, but also #1 on Amazon! AWESOME! Haha. If you want more smiles, check out the original Pence segment below. Regardless of your party affiliation, if you’re not a fan of this administration, and if you believe in basic human rights, this will definitely bring you a smile! Enjoy! Quite arguably we live in very scary and uncertain times. And I personally applaud John Oliver not only for speaking out, but bringing laughter into the world too! And in this case, donating all the proceeds from his sellout book to both the Trevor Project and an AIDS organization, I hope more will follow his example. Like I said, how can you NOT love John Oliver! OH, if you want to get the book, THE DAY IN THE LIFE OF MARLON BUNDO, you can get it on Amazon here. LAST WEEK TONIGHT WITH JOHN OLIVER airs every Sunday, 11/10CST on HBO. Previous Post‘DARK PHOENIX’ Set-Pic!Next PostSQUEE! New Trailer for ‘DEADPOOL 2’!